This blogging thing is a pretty cool gig for many reasons. 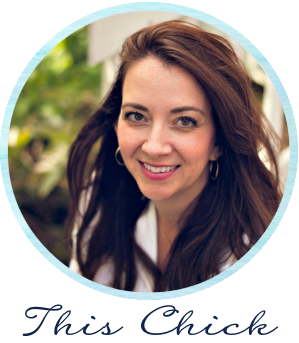 I'm lucky to have been doing this for nearly ten years now, so I've seen many bloggers and brands launch over the years and become crazy successful. One of those is a site you may know called Houzz, whom I have partnered with on this post. Years back I remember emailing back and forth with Adi (one of the co-founders of the site) about an interview and feature on their new site. 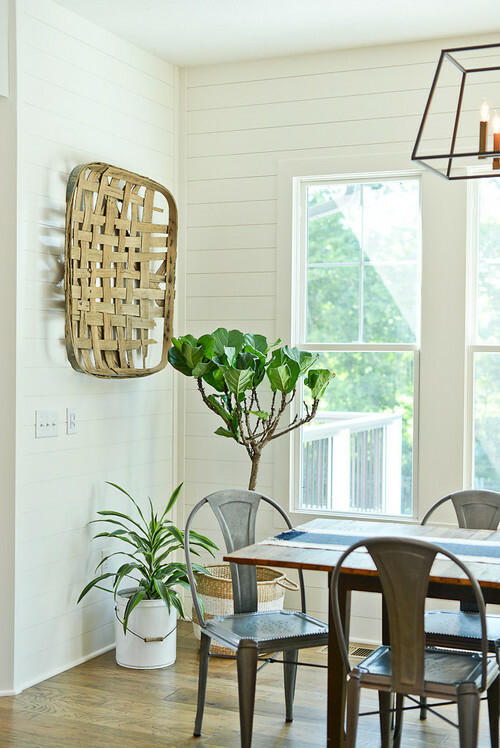 Houzz has always been such a big supporter of bloggers and designers and it's been a thrill to see their incredible success! The tools they've added over the past few years are so cool and super helpful. AND they share the professional right there next to the photo -- which I love because they get credit, and you can easily contact them. If you're looking into a more specific space you can drill down to inspiring photos of just that room. Want kitchen ideas? They have those. Bathrooms, closets, bedrooms, even outside spaces. Just days before I heard from Houzz I saw a commercial for some online shows they executive produced with Ashton Kutcher called "My Houzz." They are fun, quick episodes about celebrities working with a local professional to redo a room for a family member. Not being in a house at the time (it had been a few weeks by then), I devoured anything and everything "home." I couldn't get enough of these episodes and sat and watched every single one till about 2 a.m. that night. They are really entertaining and I learned a lot more about what Houzz has to offer as well. 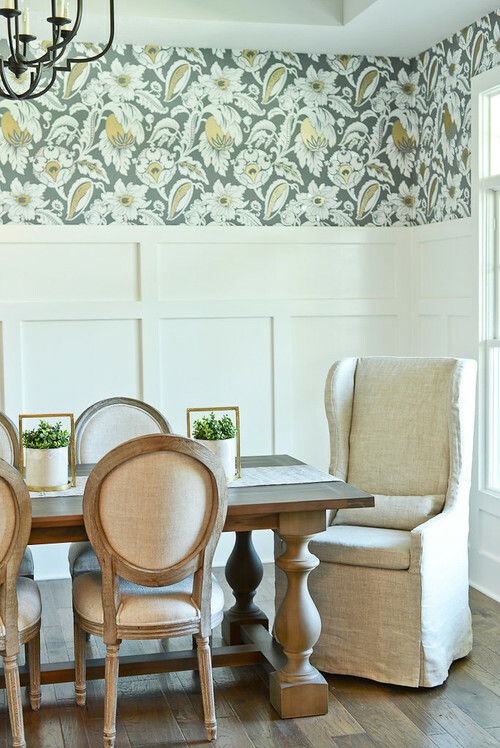 What I didn't know was that Houzz not only provides thousands of pretty pictures, but also serves as a one stop shop for pros all over the country. Not just decorators, but architects, general contractors, kitchen and bath designers, landscape services and more! The list is endless. You can search for professionals in your city and widen it to within 100 miles of your location. What I love best is the detail they offer for each business. Not only can you browse photos, but you can also read reviews from real clients. Reviews are the very first thing I look for online -- whether it's a product or a service. The awesome thing about the site is you can contact the pro via email right there or you can leave a comment with any questions you have about projects or sources. Most of the designers and contractors I've seen on Houzz are great about responding. AND if you are looking to build a house, you can look up nearby builders and see tons of reviews and photos of their builds. This is crazy helpful because you can narrow down the ones you like and want to drive to see in person. 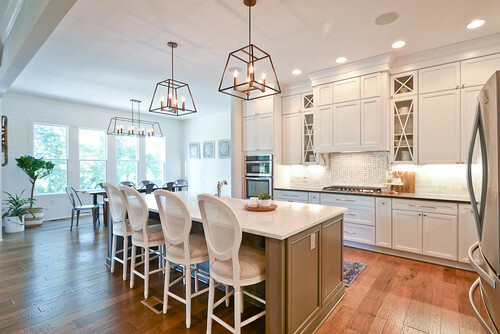 Houzz covers just about everything you need when planning a remodel or makeover. Not only can you find professionals for your home decor/renovation needs, but you can look up inspiration photos, tour a ton of homes online (my favorite) and if you see an item you love with a white price tag, you can "add to cart" right there. Dangerous, I know. Have you used any services found through Houzz? I can promise you'll find some beautiful inspiration and plenty of home professionals to serve you. I've heard about Houzz before. Wish there was something similar in Hong Kong! I've been seeing these commercials everywhere! We just bought our first home last month and I've got to start getting inspired to really make it our own. I'm going to have to check this out ASAP. Such a great site, and yes it has grow leaps and bounds. So much inspiration can be found on there. Found my kitchen designer through them and tons of inspiration pics for all parts of my house, inside and out! I love this site for inspiration but please be careful purchasing. I had my card charged for over $300 of product I did not order. I tried to work with their customer service to get my money back and endeduct up having to do it through my bank. So although their photos are amazing just use caution with what vendors you are buying from! 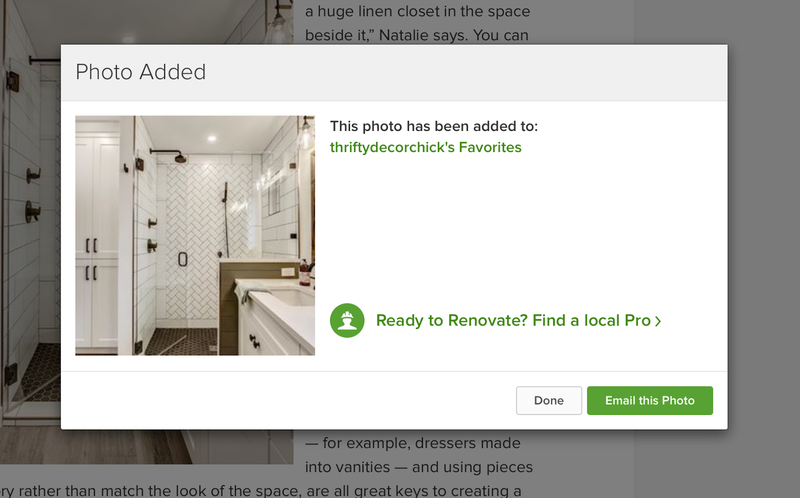 I love Houzz, too! I've been a follower since they started! At that time, I was searching for some design inspiration and came upon their website. Great article and congrats on the new house! 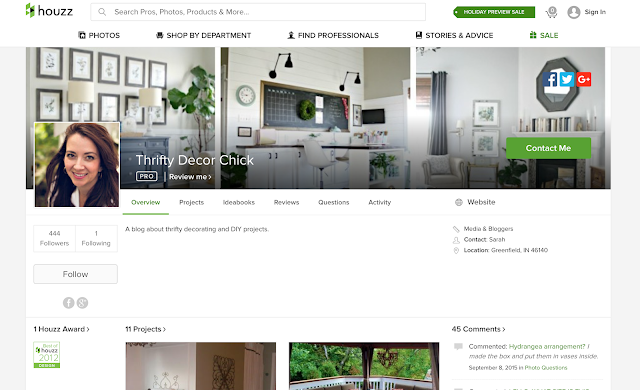 I love Houzz as well but do not love that as a designer, my information being put out their when people are searching isn't based on how many good reviews I have or anything else -- only whether or not I am paying to have my information advertised on Houzz. While I can have a profile and showcase my work there, Houzz may not even show this profile when people are searching for designers in my area. We are contacted every few months from Houzz on how to improve our profile - that is - pay to have our profile promoted by Houzz. It is not an equal playing ground when you are searching for resources. Lovely to look at but a revenue stream and you have to pay to play effectively! That is the way of the world now! As bloggers we have to pay on Facebook, Pinterest and IG in order for those who follow to see what we post. I refuse to do it but it's the case just about everywhere.